Papa Johns offers buy one get one free! Papa Johns offers Pizza Buy one get one free via coupon code "BXBOGO". 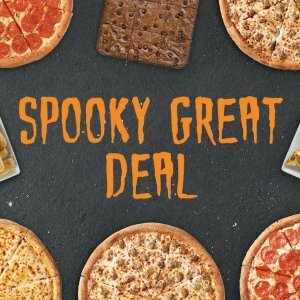 Papa Johns offers 50% off Papa John's 50% off Regular Priced Pizzas via coupon code "PJ50OFF". Papa Johns offers the Medium 1-Topping Pizza for $6 via coupon code "CARRYOUT6". Papa Johns offers spend $20,get a free large pizza Order Pizza Now, Get Free Pizza Later. Papa Johns offers 50% off Celebrate Pizza Week via coupon code "50CELEBRATE". 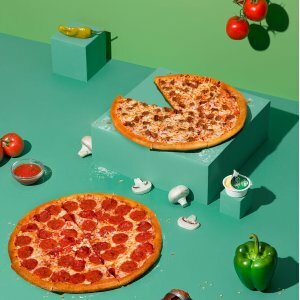 Papa Johns offers 25% stackable off Papa John Sitewide Discount via coupon code "CHOOSEBETTER". Papa Johns offers 25% stackable off Papa John Sitewide Discount via coupon code "25OFF". 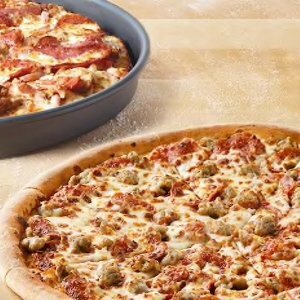 Get Two Medium 1-Topping Pizzas For $5.99 Each via coupon code "MTM599". 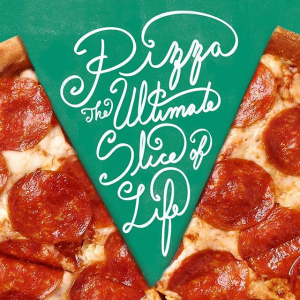 Large up to 5-Topping or Specialty Pizza for $9.99 via coupon code "MTM999". 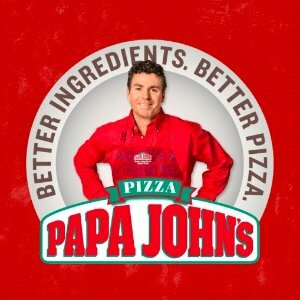 Papa Johns offers the $8 each Papa John's Pizza Order for Delivery or Carryout 2 Large 2-Topping Pizzas via coupon code "82LG". Papa Johns offers the Papa John's Large Double Cheeseburger Pizza for $11 via coupon code "BURGER". Papa Johns offers 40% off Papa John's Pizza Order for Delivery or Carryout via coupon code "40off4413". FREE 10" Cheesesticks with purchase of $15 or more via coupon code "FREESTX". Papa Johns offers the Any Large or Pan Pizza Discount for $10 via coupon code "ANYLG10". 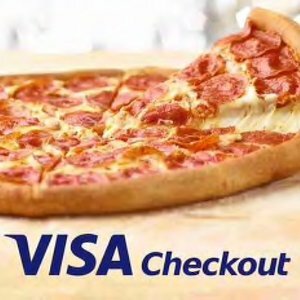 Papa Johns offers free 10" cheesesticks Papa John's Pizza Visa Checkout Discount via coupon code "FREESTX". Papa Johns offers the Papa Johns Large 1-Topping Pizza for $4.99 via coupon code "PICKUP499". Papa John's offers buy one get one for free, via coupon code "BOGO4U". NOTE: Some stores may not participate. Papa Johns offers 25% off Papa John's Pizza Order for Delivery or Carryout via coupon code "CW25". FREE 10" Cheesesticks with purchase of $15 or more via coupon code "FREESTICKS". 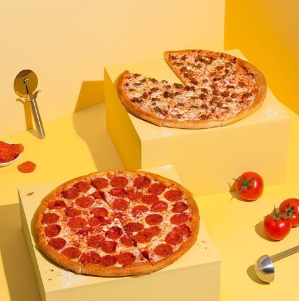 XL 2-Toppings Pizza for $10 via coupon code "XLPIZZA". Two Medium 2-Topping Pizzas For $6.99 Each, via coupon code "DOUBLE". Papa John's offers Large 7-Toppings or Specialty Pizza$9.99 via coupon code "999SPEC". Papa John's Large 1-Topping Pizza for $7 via coupon code "1TOPLG7". Papa John's offers buy one get one for free, via coupon code "OCTBOGO". Extra Large 2-Topping Pizza for $10 via coupon code "XLPIZZA". 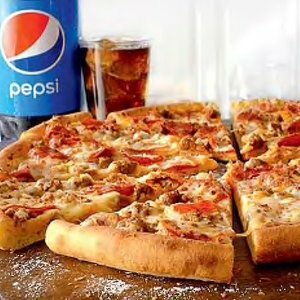 Add any 2-Liter Pepsi Cola for $2.00 via coupon code "ADDPEPSI". 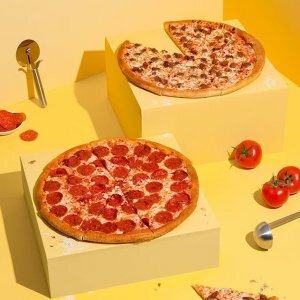 Papa Johns offers free Purchase $12 Order and Get a Large One-Topping Pizza via coupon code "BETTERTOGETHER". Papa John's offers Two Medium 2-Topping Pizzas For $6.99 Each, via coupon code "DOUBLE". Two Large 2-Topping Pizzas For $8 Each, via coupon code "2LGFOR8".